Welcome to the world of Pokemon, love it, hate it, whichever it is you would be hard to find someone that hasn't at least heard of the game series that swept over the world with the release of Pokemon Blue and Red. If you haven't then let me just first explain that both games are near identical besides some minor changes, so this review will cover both, though the screenshots that I use will be from Blue as that is the one I chose out of the two. So let's begin! The game places you in the role of a young boy whom you can name anything you like, living in a small little village within the wonderful world of Kanto. Now this world is home to 150 monsters of all kinds of shapes and sizes known as Pokemon, whom you hope to try and collect and train up to become the greatest Pokemon trainer in the region. Along the way you will encounter hundreds of rival trainers, the evil minded Team Rocket, and 8 gym leaders whom you must defeat to enter the final grand Pokemon League where you can finally be crowned Champion. So how do you go about this then? Well first you are allowed to choose one of three starter pokemon at the beginning of the game with whom you can train up and help you to catch as many pokemon as you can find. Once you have 6, you will have a full party and any future pokemon you catch will be stored away for future use. 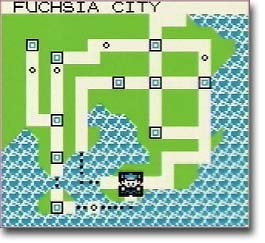 Now on your journey to you will have to go through underground caves, forests, mountain tops, through the sea and of course, plenty of other towns and cities, all of whom are full of rivals and Pokemon to be caught. Now when you either defeat a trainer or just a wild pokemon that you can encounter, you gain experience points and when you get enough you will level up. At certain times your pokemon will then learn new and often better battle moves to use and not only that, but occasionally they may evolve and turn into a much stronger beast, both of which are key if you want to become the best. Now you are free to choose which pokemon you want in your main party, and having the right balance is key to victory, so pick wisely otherwise you may run into trainers that you simply won't be able to beat with force alone. (Above) So which Pokemon did you pick for the first ever time? For me, it was Squirtle! Now graphically the game is not too bad. By today's standards they look awful, but at the time (and bear in mind this was for the GameBoy) everything was well presented even if there was hardly any colour to the game. All the environments are well done and even tiny little details like the flowers and water effects help to add to the charm. The Pokemon themselves don't look too bad, though during a battle, they do look pretty average, but the battle animations are more pleasing to the eye. The soundtrack is made up of various tunes, some for the towns and areas you walk through, and then a battle theme when you are.. well battling. The town themes are pretty catchy and will most likely cause you to start whistling or humming them completely by accident, even if you aren't playing the game. The battle theme though is pretty poor, and oh so repetitive. Add to that the sounds that Pokemon make when you meet them, (which let's face it, still aren't much better today,) and you will often find yourself battling with the sound down. But if you are looking for the best theme around, then head for the Pokemon Gym, now that music is and will forever be - AWESOME! Now one of the best features without a doubt in the game, is the ability to trade and battle Pokemon with your friends. All you had to do was connect your GameBoy to your friends with the link cable, and in a matter of moments you can be making your friends Pokemon look like weaklings compared to yours. Nothing beats the feeling of wiping the floor with someone, and then bragging to them for days and days about how you are the greatest Pokemon master in the world!! Now for those of you that battled (many I'm sure,) your teams were wide and varied, apart from those of you that always insist of having Mewtwo in your team, (you know who you are,) just because he was the best my a long distance. Still that is what made the game so much fun, because you could have any combination of 6 Pokemon against another 6, and each and every battle could be different from the next. Add to that the task of collecting all 150 Pokemon in the game, and you are looking for months, no years of excellent gameplay ahead of you! (Above) An example of what the battle screen looked like in action. Conclusion. Now for anyone not familiar with the series, or just those people that didn't like the game (shame on you really!) then you may think that the game sounds pretty repetitive and nothing about it sounds really very exciting. Well to that I say, you are wrong. Once you start playing the game, you will find yourself slowly wasting away hours and then days trying to improve your team, and collect each and every Pokemon there is, even just to show off to your friends. So the graphics and sound may not be legendary, but for an RPG it does exactly what you would expect and multiplies that by a fun factor of 100. 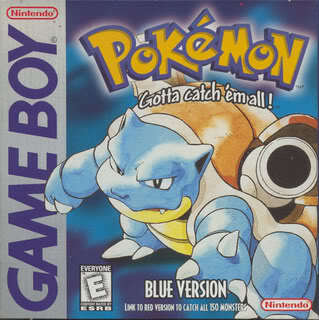 Of course there are now much better sequels out there that far surpass this game, but if you want to see how the Pokemon craze became so big and what all the fuss was about, then go pick up a copy of either game and prepare to lose your life away to one of the greatest series of all time! n 1215, Dominic established himself, with six followers, in a house given by Pierre Seila, a rich resident of Toulouse. He subjected himself and his companions to the monastic rules of prayer and penance; and meanwhile bishop Foulques gave them written authority to preach throughout the territory of Toulouse. Thus the scheme of establishing an order of Preaching Friars began to assume definite shape in Dominic's mind. The final result of his deliberations was the establishment of his order. In the same year, the year of the Fourth Lateran Council, Dominic and Foulques went to Rome to secure the approval of the Pope, Innocent III. Dominic returned to Rome a year later, and was finally granted written authority in December 1216 and January 1217 by the new pope, Honorius III for an order to be named "The Order of Preachers" ("Ordo Praedicatorum", or "O.P.," popularly known as the Dominican Order). This organization has as its motto "to praise, to bless, to preach" (Latin: Laudare, benedicere, praedicare), taken from the Preface of the Blessed Virgin Mary in the Roman Missal.